Starting at $36,995 MSRP, the 2019 Jaguar XE is a luxurious sports sedan that doesn’t skimp on interior amenities. The cabin of the XE sedan is full of features at every trim level that will enhance your Paradise Valley drives. Explore the latest features in passenger comfort as well as advanced tech when you see the XE in person at Jaguar North Scottsdale. The Jaguar XE leaves no box unchecked. Right from the moment you employ keyless entry, you’ll notice the incredible attention to detail. The start button of the XE pulses at 72 double beats per minute, which is the same as the heartbeat of an actual jaguar cat. After you push the start button, the XE growl to signify that JaguarDrive™ Control is ready. Drivers and passengers alike can appreciate the luxe upholstery of the XE sean. This Jaguar vehicle is swathed in supple leather from some of the most sought-after suppliers in Italy and the UK. Its style is quintessentially Jaguar with twin-needle stitching in contrasting colors, and it is incredibly durable. You’ll be able to fit five passengers in the XE thanks to 91 cubic feet of passenger space; that’s plenty of room for everyone to stretch out on long Cave Creek aventures. You’ll also be able to fit plenty of gear thanks to 16.1 cubic feet or cargo space. Even in a sedan, you won’t need to worry about fitting your luggage. You can also utilize the 40/20/40 split seats, which come standard on the Premium trim and above. Whether you’re on your Carefree commute or on a weekend excursion, you’ll be totally connected and in control whenever you’re in your Jaguar XE. Want to Know More About the Jaguar XE Design? If the Jaguar XE interior sounds appealing to you, compare the Jaguar XE vs. BMW 3 Series to learn more, or check out the new XE in person at our showroom in Phoenix. Contact us to set that up, and we’ll be happy to answer any questions you have about the Jaguar XE mpg, price point, and more. 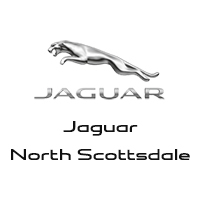 Before stopping by Jaguar North Scottsdale, be sure to check out our Jaguar XE lease deals! 0 comment(s) so far on What are the 2019 Jaguar XE Interior Features?